A Minneapolis boot camp is considered one of the best ways for you to lose weight, get fit and change both your mental attitude and physical appearance. Boot camps have become a popular alternative to the traditional methods of fitness regimes. Attending a boot camp may seem daunting; however, they achieve excellent results. Many people struggle when they have to attend a gym, or motivate themselves to exercise. Therefore, attending the boot camp is the ideal way to remain focused, and see results in a short space of time. Boot camp training has been developed from the vigorous regimes that military organizations have been using for years. The organizers of the Minneapolis boot camp will guarantee results in a short space of time, which is often what people want to achieve. However, you need to ensure that you understand that boot camp is not easy, and you will be pushed both mentally and physically. 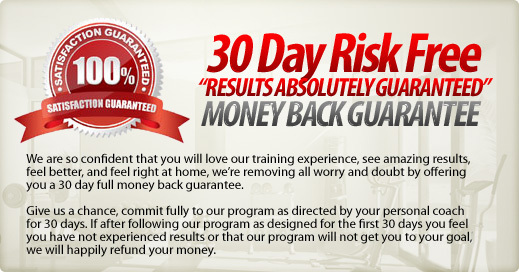 The exercise routines and diet programs and designs to achieve results. People who attend the boot camp will see results far quicker than with any other style of fitness program. You will also be far stronger mentally, and understand what you have to do, to achieve results. The training, which is included in the boot camp is intense, and will push you to your limit; however, it can be an incredibly satisfying way to train. The concept behind the Minneapolis boot camp is to provide intense, exercises, which will provide you with a challenge. The workouts, which are included, are tough, and fast, paced to ensure that your body is working at an extreme pace. The classes for the boot camp are typically only 30-60 minutes long, however, you will feel that you have worked incredibly hard. Typically the boot camp classes are designed for a complete body workout, where every area of your body is being pushed. However, there are also classes that will focus on certain areas of your body, targeting single muscle groups. You will need to discuss your goals and needs with the instructor who is running the class. You will need to consider if this style of fitness training is suitable for you, and understand that it is a challenge. A full medical is often recommended beforehand to ensure that you have no medical conditions, which could cause ill health. The classes are considered to be tough, and you need to be in the correct mental state to attend the Minneapolis boot camp. Whether you attend an intense week long boot camp, or several sessions over a longer period of time, you will see incredible results. There are several different guidelines and recommendations, which you will need to, follow to ensure that you remain healthy. In the first few sessions of your boot camp, you may feel sick, and dizzy. This is normal; however, you can stop at any time during the boot camp to compose yourself, before returning to the class. A qualified instructor will understand the difference between you not pushing yourself, and being genuinely ill. Once you have begun your boot camp training, and see the incredible results, you will ensure that you attend again in the future.